A very bright, talented, professional woman asked me that question. Initially, I was startled. Yet, as I thought about the question, I realized that many women in my seminars are reluctant to shake hands, and others do so incorrectly. The topic is attracting attention beyond my seminars. 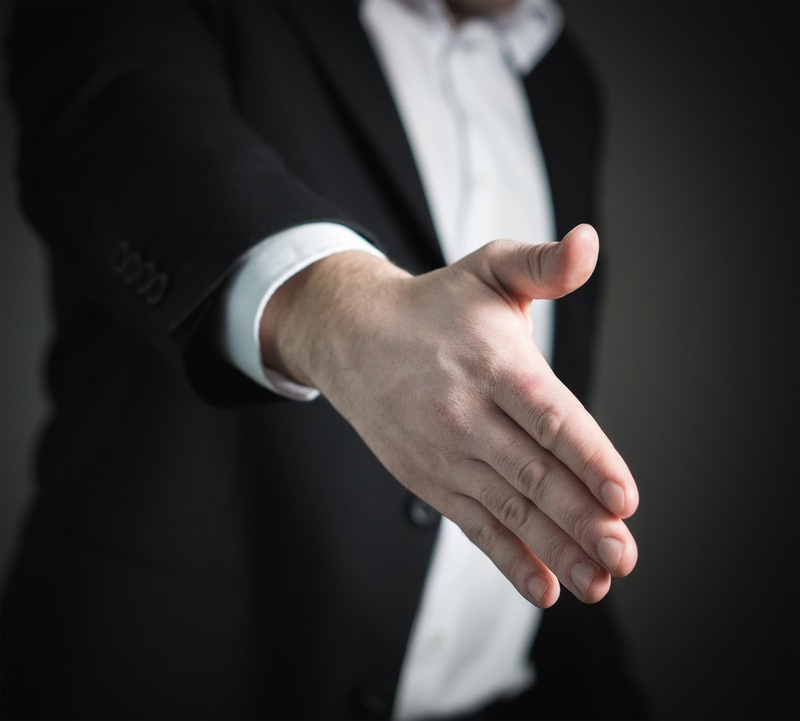 The dos and don’ts of handshakes have been in the news lately, largely because of the widely publicized handshake between President Trump and French President Macron. It seemed like a good time to revisit my blog on this important business greeting. In today’s workplace, shaking hands is not for men only. Both men and women need to shake hands, and to do so correctly. One woman told me she got her job because she shook hands at the beginning of the interview and again at the end. The manager told the woman that he chose her because she handled herself so professionally. Another woman realized that she had been the only one at her table who stood when she shook hands with her CEO. As a result, she had a conversation with him; the other individuals did not. 1. Some women were never taught to shake hands. It is not that these women were told not to do so, it is that they were not taught to do so. One woman in an etiquette class was shocked when she realized that she was not teaching her four-year-old daughter to shake hands, but she had already started teaching her two-year-old son to shake hands. 2. Women bring the personal greeting of kissing friends on the cheek into the workplace. This can be awkward, since you will not want to kiss or hug everyone you meet at work, nor will everyone be comfortable with that greeting. 3. Many women were taught that they did not need to stand when shaking hands. Before each of my seminars, I walk around the room to introduce myself to my participants and extend my hand in a greeting. Approximately 70 to 75 percent of men, but only 30 to 35 percent of women, stand to shake my hand. You establish your presence when you stand. Both men and women should stand when shaking hands. You will be judged by your handshake. Be honest: What do you think if someone gives you a limp handshake? Yes, you tend to think of that person as weak and unimpressive. • Extend your hand with the thumb up. • Touch thumb joint to thumb joint with the person you are greeting. Put your thumb down, and wrap your fingers around the palm of the other person. • Make sure your grip is firm, but don’t break any bones – it’s not a competition. • Don’t over-pump. Giving two to three pumps is enough. Face the person, and make eye contact. And one more thing: It used to be that men needed to wait for a woman to extend her hand. Not anymore. Today’s guideline is to give the higher-ranking person a split second to extend his or her hand, and if he or she does not, you extend yours. The key is that the handshake needs to take place. Additional information on the handshake and greetings can be found in my book, The Essentials of Business Etiquette: How to Greet, Eat and Tweet Your Way to Success (McGraw-Hill). One woman in an etiquette class was shocked when she realized that she was not teaching her four-year-old daughter to shake hands, but she had already started teaching her two-year-old son to shake hands.